He is also running for city council, but the Election Committee dropped him from the ballot. Andrew Graham is a big guy. The burly former truck driver is 6-foot-4, but he was 3 inches taller a few years ago. A work physical in 2009 revealed that Graham had Ankylosing spondylitis, a rare bone disorder that causes vertebrae to fuse together. Graham was 33 and had twin 3-year-old sons when he was diagnosed. Doctors told him would be disabled and wouldn’t be able to work. He cannot turn his head. His spine is fused and curved forward, giving him a permanent stoop. Graham sits in a chair when he plays catch with his sons. There is no cure for Ankylosing spondylitis. “It’s only going to get worse, and it’s incredibly painful,” he said. Graham is in constant pain. Staying in one position for long periods makes it worse, so he only sleeps for three to four hours at a time. “My doctor says I’m 39 going on 65,” Graham said. He has prescriptions for painkillers, but he rarely takes them due to the grogginess they induce and the impact on his liver. Graham took his condition in stride and did what he could to remain an active member of his community in Yorkville. He is a stay-at-home dad and he regularly watches his neighbor’s kids. “He is a great, responsible guy who cares about the kids,” Miller said. She also noted that Graham refuses to take money for caring for the neighborhood children. Since walking is difficult for him, Graham bought an electric Yamaha golf cart to get around. 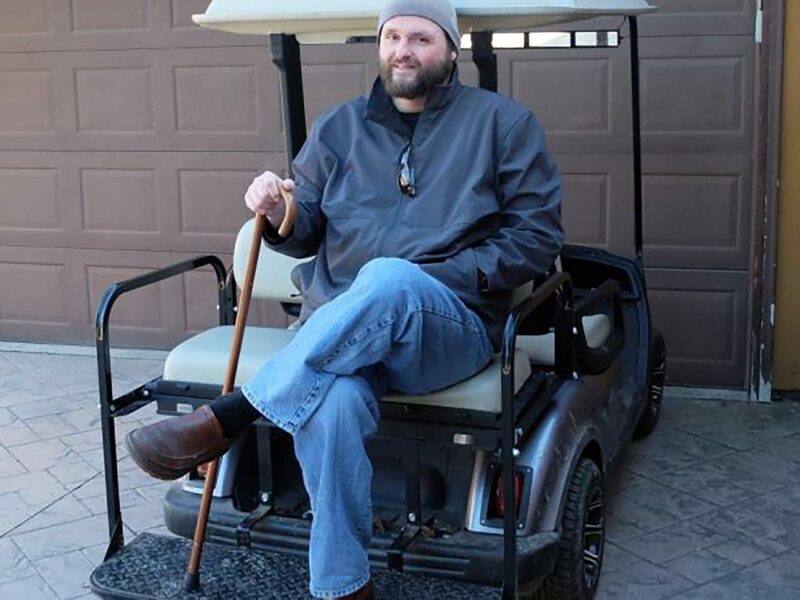 Getting in and out of a car is difficult for him, and it’s much easier for Graham to get into a golf cart.Graham used his golf cart to bring his twin sons to their school bus stop, and sometimes he would give the neighborhood kids rides just for fun. On Aug. 9, 2016, Graham was watching five kids, including his two sons, and giving them rides on his golf cart in a grassy area behind his house. Graham and his neighbors take turns mowing this city-owned land. A police officer responding to a complaint cited Graham for using an off-road vehicle on public property. Illinois state law prohibits golf carts from roads, but there is no limit to using them on municipal property. A judge dismissed the citation in Kendall County Court in October 2016. Graham then met with Yorkville Police to make sure he wouldn’t be cited again. He argued that the Americans with Disabilities Act allows him to use a golf cart as a mobility device. “Where a normal person can walk, you can’t restrict someone in a mobility device,” Graham said. “Park walkways and thoroughfares cannot be deemed to be safe to pedestrians, runners and bikers when competing with a motorized vehicle much greater in size and weighing as much as 1000 pounds,” City Attorney Kathleen Field Orr wrote in a letter to the city administrator. 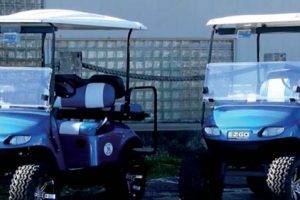 In late January, the Yorkville City Council passed an ordinance prohibiting golf carts, all-terrain vehicles and other off-road vehicles from being used on public roads, sidewalks, bike paths, parkways and city property. 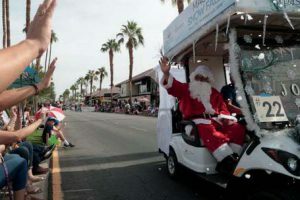 “We realized that the current loophole in the code that would allow someone in a golf cart to drive back and forth across the City Hall front lawn should be closed,” City Administrator Bart Olson said in a memo. 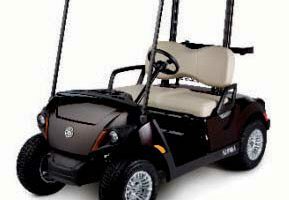 Graham filed a formal discrimination complaint with the Department of Justice over the golf cart ordinance. Graham said. He cited undeveloped commercial lots and a failing groundwater supply as more important problems the city could address. The citation inspired Graham to run for an open seat on the city council. He collected signatures and turned in the required paperwork. The Yorkville Election Committee ruled that Andrew’s two-sheet nominating petition was invalid because it didn’t have page numbers. There was only one other candidate for that office. Page numbers are required to “preclude any attempts to alter the submission of the candidate,” Kathleen Orr, the Yorkville city attorney, said in an email. Graham plans on running for the city council as a write-in candidate, but notes that now he’ll have to slowly walk door to door to campaign. “I’m not giving up, I’m just new to politics,” Graham said.